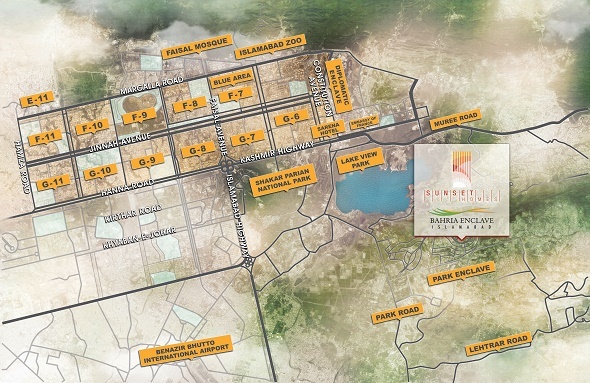 Bahria Enclave is an excellent address for living in Islamabad. 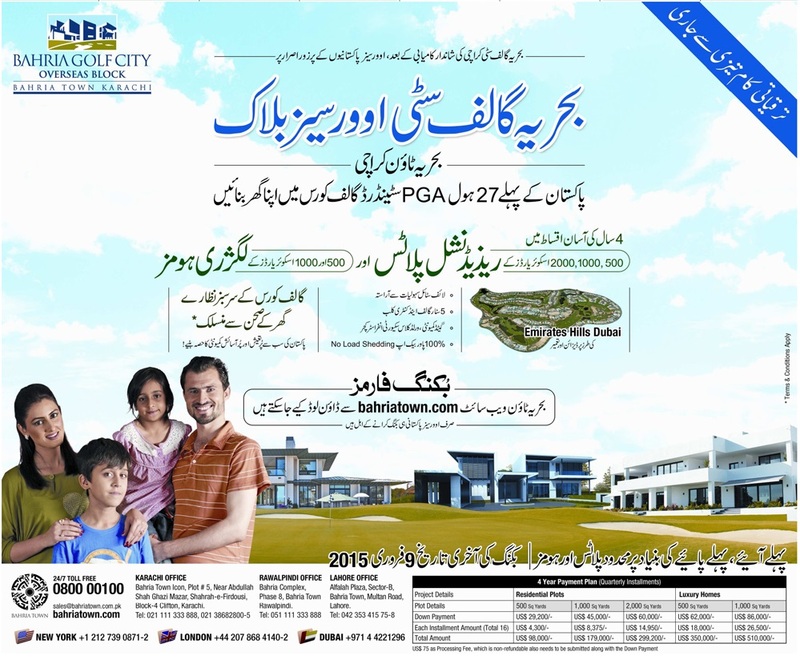 It is within easy reach from all major landmarks of Islamabad, so location is the most important factor here. Additionally, the margalla hills provide the perfect backdrop for living in a serene natural environment. The quality of development and the number of amenities you enjoy in Bahria Enclave are nowhere else to be found in Islamabad. 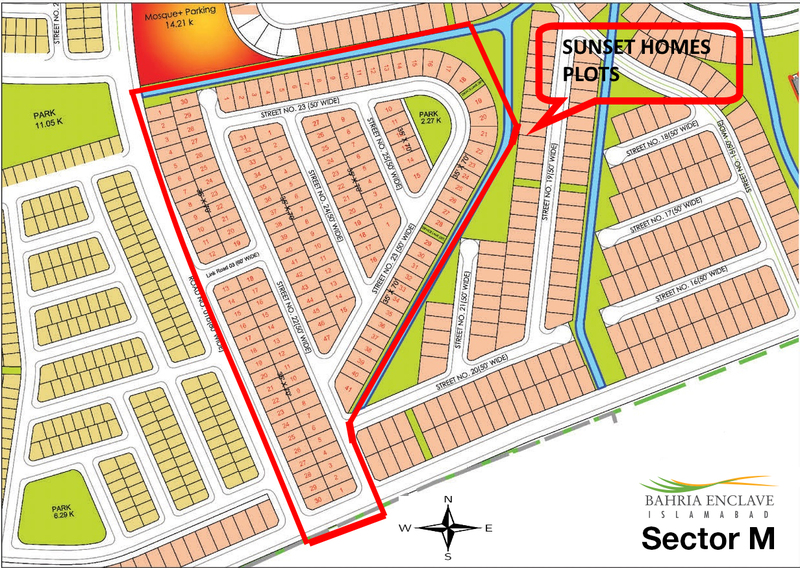 Sunset Homes offers signature villas built on 10 marla (35×70) size plots in Sector M, Bahria Enclave Islamabad. This part of M block was especially developed by bahria town before schedule in order to facilitate construction of this project. Sunset Homes are single and double unit, 4 and 5 bedroom bungalows with exquisitely designed exteriors and interiors following the modern construction standards. 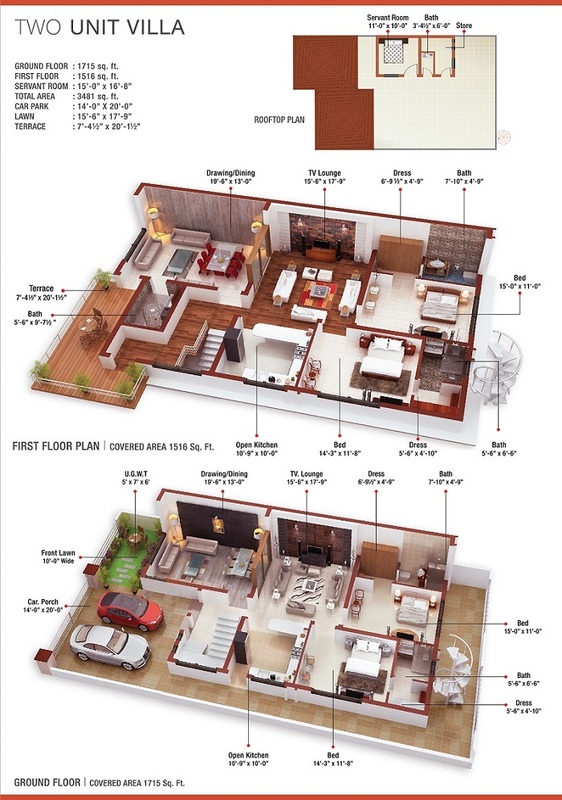 The quality of homes is as per Bahria Town’s standards. “One Unit Houses” are made for single family with one bedroom and modern open kitchen, dirty kitchen and laundry on the ground floor along with specious living, dinning and drawing with a powder room. 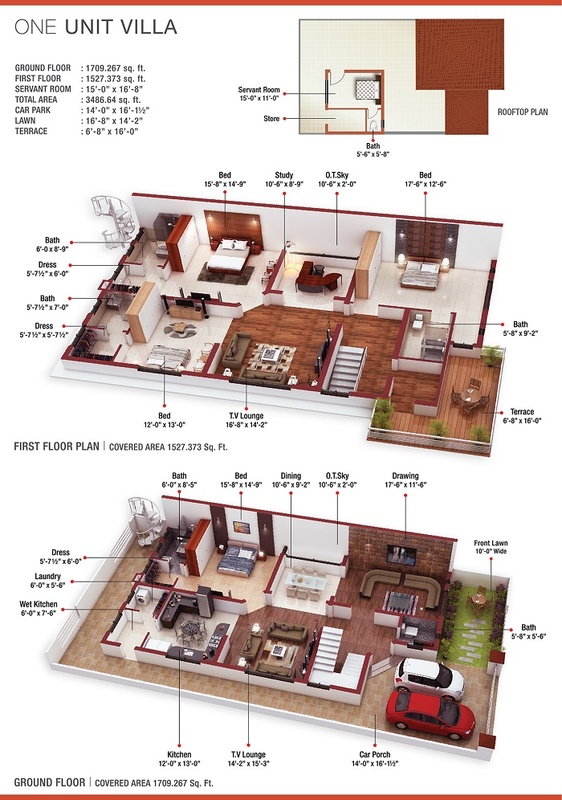 The second floor has 3 bedrooms, study, living and an open terrace. “Two Unit Houses” serves two families or those who may need 5 bedrooms, each family can live separately on each floor as each floor has 2 bedrooms, drawing, dining and living room with an open kitchen. Initial development work has started already in August 2017, and soil testing work is done. Currently the company is working on excavation and compaction. Target completion time for the project is 2 years, so you will be able to enjoy the luxuries of living in Bahria Enclave by mid 2019 if you opt for Sunset Homes. 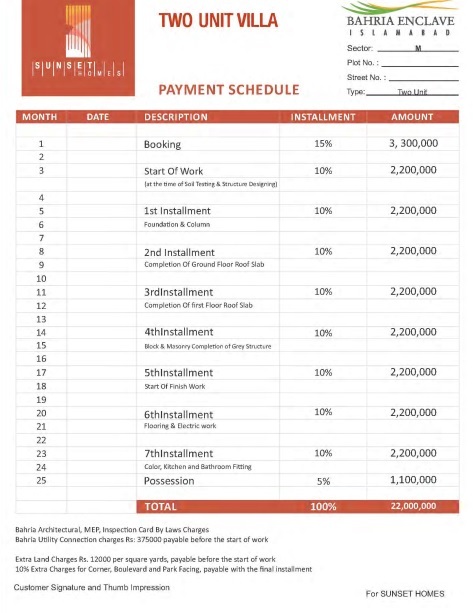 Sunset homes are available on 2 years easy installment plan. Bookings start from 15% down payment, and 10% amount is payable at the time of start of work (soil testing and structure designing). 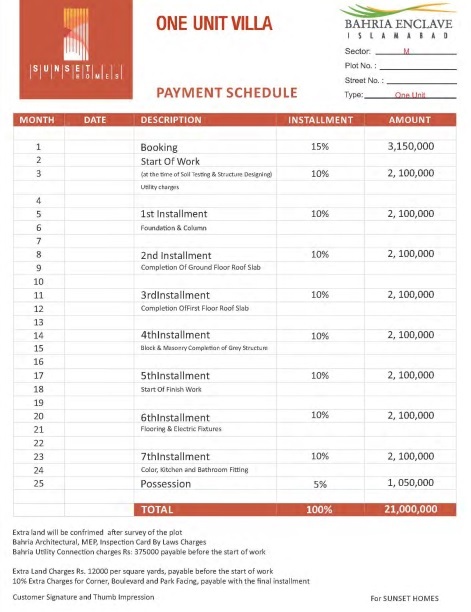 Remaining amount is payable in 7 equal quarterly installments. Please note that there are very limited villas available for booking now, so feel free to visit the site and see the development progress in order to make up your mind for Sunset Homes.